The Oxford Union will be hosting the Sam Adams Associates for Integrity in Intelligence award presentation on 23 January 2013. The ceremony will feature several individuals well known in intelligence and related fields, including, via video-stream, remarks by Julian Assange, winner of the Sam Adams award in 2010. The annual award presentation provides a rare occasion for accolades to "whistleblowers" -- conscience-driven women and men willing to take risks to honor the public's need to know. This year's Sam Adams recipient is Professor Thomas Fingar, who is now teaching at Stanford University. 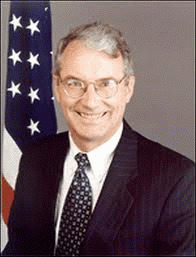 Dr. Fingar served from 2005 to 2008 as Deputy Director of National Intelligence for Analysis and Chairman of the National Intelligence Council. In that role, Dr. Fingar oversaw preparation of the landmark 2007 National Intelligence Estimate (NIE) on Iran, in which all 16 U.S. intelligence agencies concluded with "high confidence" that Iran had halted its nuclear weapon design and weaponization work in 2003. The Estimate's key judgments were declassified and made public, and have been revalidated every year since. Those pressing for an attack on Iran in 2008 found themselves fighting uphill. This time, thanks largely to Dr. Fingar and the professional intelligence analysts he led in 2007, intelligence analysis on Iran was fearlessly honest. A consummate intelligence professional, Fingar would not allow the NIE to be "fixed around the policy," the damning phrase used in the famous "Downing St. Memo" of July 23, 2002 to describe the unconscionable process that served up fraudulent intelligence to "justify" war with Iraq. We are delighted to be welcoming several previous Sam Adams awardees, including Coleen Rowley, Katharine Gun, Craig Murray, Thomas Drake, and Julian Assange (by video-stream) -- as well as other Sam Adams associates from both sides of the Atlantic, including Ray McGovern, Brady Kiesling, Davdi McMichael, Elizabeth Murray, Todd Pierce and Ann Wright. We feel that the Oxford Union, dedicated to upholding freedom of speech and providing a platform for all points of view, is a fitting venue. The traditional acceptance speech by Dr. Fingar will be followed by briefer remarks by a few previous Sam Adams awardees. They will be followed by Julian Assange who will speak for 20 minutes immediately before the Q&A, during which the audience will be invited to put questions on any topic to any of the presenters. Assange is clearly a figure who generates controversy for reasons ranging from the allegations made against him in Sweden, to the perceived recklessness of some WikiLeaks activities. We would therefore encourage those who disagree with him, or with any of our other speakers, to participate in the Q&A session. Last but not least, we are happy to note that Dr. Fingar, will be with us for the entire term. Professor Fingar has just begun teaching a course at the University of Oxford on global trends and transnational issues, as part of Stanford's Bing Overseas Studies Program. He will also give guest lectures and public talks while here at Oxford (January-March 2013). Professor Fingar holds a PhD in political science from Stanford. His most recent book is Reducing Uncertainty: Intelligence Analysis and National Security (Stanford University Press, 2011).